Jarrow Formulas Citicoline 120 capsules which is stabilized CDP Choline (cytidine 5’diphosphocholine) and a naturally occurring, water soluble, biological compound that is an intermediate for the synthesis of phosphatidylcholine, a major constituent of the grey matter of brain tissue (30%). 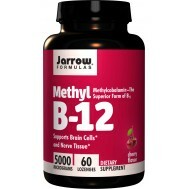 Supports memory recall and learning among a host of other cognitive support. Scientific research demonstrates that Citicoline consumption promotes brain metabolism by enhancing the synthesis of acetyl-choline, restoring phospholipid content in the brain and affecting neuronal membrane excitability and osmolarity (by its effect on the ATP-dependent sodium and potassium pump). who can benefit from cicitoline? 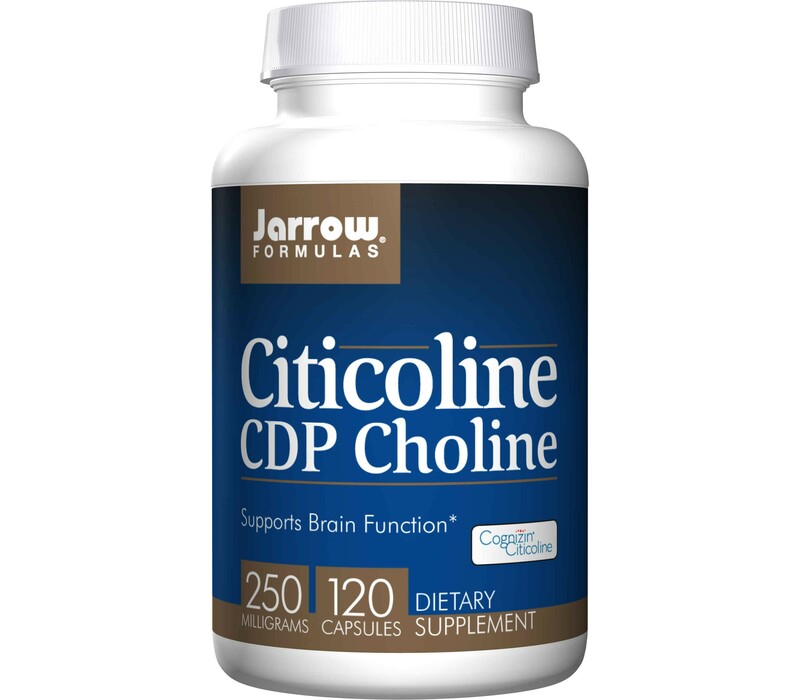 Although anyone can benefit from citicoline, it is primarily a supplement used to improve thinking, learning and memory for older people. While safe, citicoline is so effective, it has been placed on the list of banned substances for athletes. The basic building blocks for important neurochemicals, especially acetylcholine, are less available and less efficiently used by the aging brain. One reason is that the same age-related changes of the vascular system which diminish heart function can negatively affect the blood supply to the brain. Moreover, even the ability of the blood to carry and release oxygen is subject to decline. Other factors involved in mental decline reflect undesirable general changes within the body. For instance, the body’s ability to produce the basic energy unit which powers metabolism, adenosine triphosphate (ATP), declines over time. Similarly, the brain’s capacity to metabolize glucose for energy goes down with age. Phospholipids are the principal components of all cell membranes. These membranes might be envisioned as internal and external walls which are permeable, yet relatively solid and stable in comparison with their more fluid core. Within this semifluid core float proteins which act as switching and control mechanisms for cellular processes. The membrane consists of a single layer of cholesterol with a layer of phospholipids, and their attached polyunsaturated fatty acids. These supply the building blocks for prostaglandins, immune components, regulatory signals and other physiologically important processes. Some phospholipids, primarily the inositols are especially active in cell signal regulation. The cholines are preferentially involved in the functioning of various neurotransmitters and in the production of acetylcholine, although they influence other brain mechanisms as well. Citicoline (cytidine 5’-diphosphocholine, also called citicoline) is a donor of choline for use in the synthesis of phosphatidylcholine and the neurotransmitter acetylcholine in the brain. 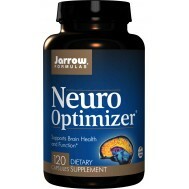 Clinical experiments have shown a reactivation of brain mitochondrial ATPases and the Na+/K+ ATPases when this compound is orally administered. 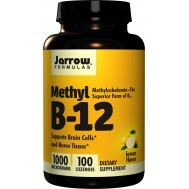 There may also be improvements in the regulation of blood flow and neuroimmune responses in the brain. The compound has been tested extensively in clinical trials in the areas of memory, verbal memory, recognition, recall, and cognitive abilities. These are all areas in which membrane permeability, choline and other neurotransmitters are known to be important. Cholinergic compounds and the brain neurons which make use of them play especially significant roles in learning and memory. Recent studies have indicated improved visual acuity as well. Citicoline is a molecule that consists of cytidine and choline joined together. 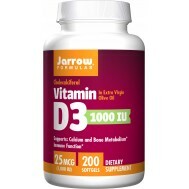 It is almost completely absorbed and equally bioavailable whether given orally or by injection. Once Citicoline is ingested, it is broken down into its component parts, and these readily cross into the brain and central nervous system. Both components are incorporated into the phospholipid fraction of the membrane and microsomes. Citicoline activates the biosynthesis of structural phospholipids e.g. phosphatidylcholine, phosphatidylethanolamine and phosphatidylserine in the neuronal membranes, increases cerebral metabolism and acts on the concentration of various neurotransmitters. Increased levels of phosphatidylcholine, noradrenaline, acetylcholine and dopamine have been demonstrated in animal trials with the administration of Citicoline. Researchers have theorized that Citicoline may also be effective in helping brain cells prevent the buildup of different toxins, as well as enhancing neuronal functions and promoting the production of proper levels of neurotransmitters. These effects reflect not just the impact of Citicoline upon the synthesis of acetylcholine, dopamine and noradrenaline, but also its indirect impact upon membrane health and transport through the improved production of phosphatidylcholine and phosphatidylserine (PS). Eggs are so nutritious they can be nicknamed nature's oldest superfood. Eggs are abundant in essential vitamins and minerals as well as unique antioxidants and brain nutrients many people are lacking in their nutrition when they don't eat eggs regularly. Uridine is a nucleotide that acts as a precursor of brain synapses and membrane phospholipids in conjunction with the omega-3 fatty acid docosahexaenoic acid (DHA) and choline sources. 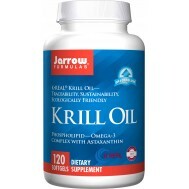 It may enhance some brain cholinergic functions. Uridine also supports the health and function of liver mitochondria. A common characteristic of most succesful politicians is their ability to remember people's names and faces very well. They have to, as networking is very important to them. In the past week, a discussion started between a dietician-foodie and a paleo/fitness-foodie, who embraced eating eggs without really giving a lot of arguments. The dietician wrote a critical article (in Dutch) to show the flaws of that bold statement. Do you tend to forget details more easily than before? Here are tips to stay ahead of the memory game. Believe in yourself: if you believe to have a poor memory, you will unconsciously not make enough effort and as a result, fulfill the prophecy. Years ago, when I had just stopped with a study Nutrition and Dietetics" and started an enterprise, but needed another job to finance it, I made a new friend whose life was devoted to study smart drugs.